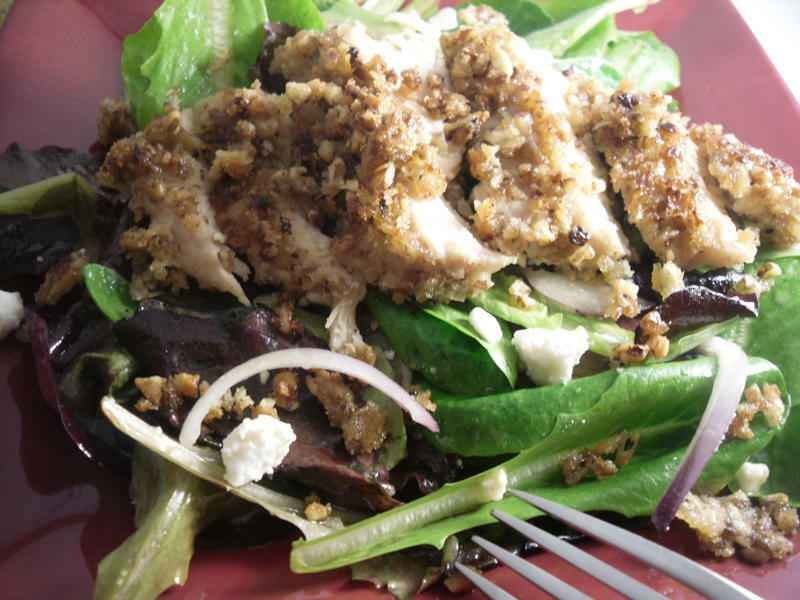 Your're already familiar with crusted chicken - now try it in a salad. 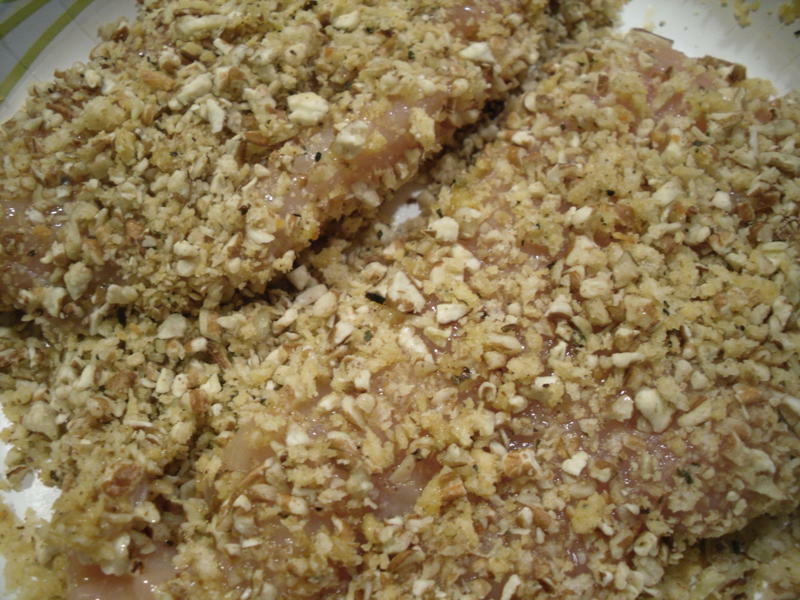 The pecans and spices in the crumb mixture add an extra dose of flavor. The best part? The crumbs left in the saute pan are delicious! Instant croutons! 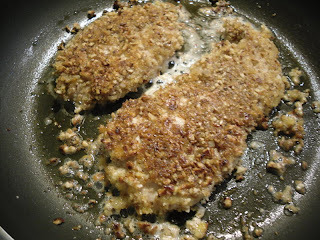 Prepare chicken breasts by halving and pounding. Whisk egg whites, cornstarch, and lemon juice in shallow dish. Salt and pepper to taste. Dip chicken breasts in egg white mixture and coat with pecan crust mixture. Let rest, then saute in 2 Tb. olive oil and 1 Tb. butter. 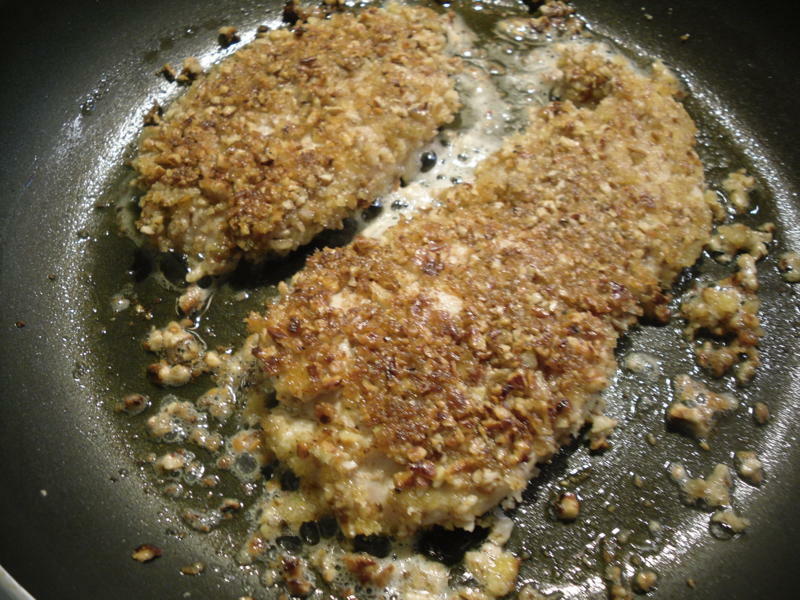 Saute about 5 minutes on each side on medium heat until chicken is cooked through and crust is golden brown. Combine all ingredients for the dressing until well blended. 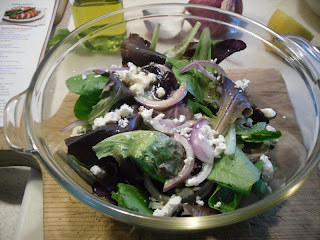 Toss dressing with greens, onions and feta cheese. (You won't need all the dressing). Arrange greens on four plates. Top greens with sliced chicken. Sprinkle any toasted crumbs left in the pan on salads. Serve extra dressing on the side. now that is an excellent salad!! I love those sliced pieces of pecan coated chicken, and the feta just pushes it over the top! I hate to admit it but you add some catalina dressing to that for me, and I will be your friend forever! I tried this salad last night and I love it...... This is gonna be my once a week dinner.....if u haven't made this yet, I don't know what you are waiting for!